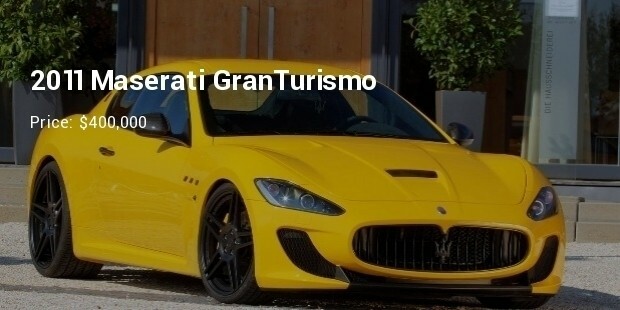 Maserati is an Italian luxury car producer which has a mission of giving to the world ultra luxury cars with Italian style, incorporating bespoke interiors and exceptionally superior sound strength. This brand has been owned by the Italian manufacturer Fiat S.p.A since the year 1993. It has recently joined hands with the sports car group. This company has created a record by manufacturing 3000 luxurious world class cars. There had been great demands for two of its models- Quattroporte and Ghibli. This company has also promised to launch the first Maserati SUV in the year 2015. 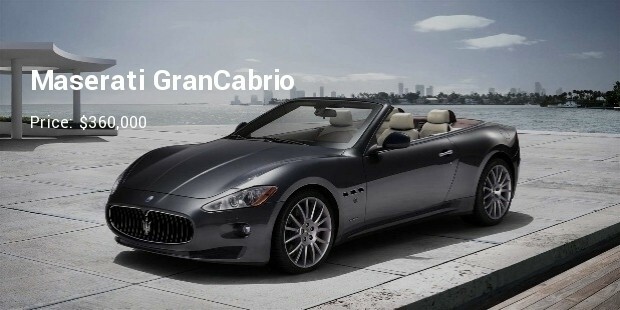 Following are the most expensive Maserati models in the world. 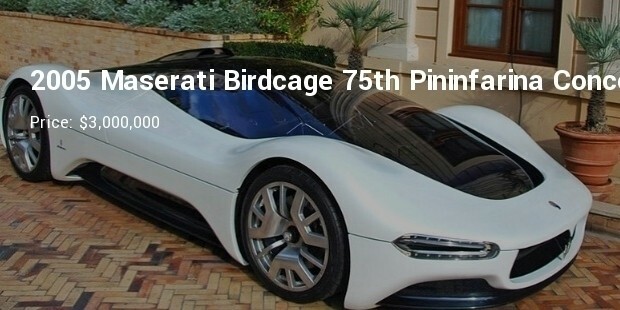 The Birdcage 75th is motorized by Ferrari/Mesarati F140 v12 engine from the MC 12 and the enzo mid mounted at 65 degree. This car produces around 770 brake horsepower. It is built on carbon fiber chassis of a Maserati mc12 race car. It takes 3.5 seconds to reach 0-100 km/hr. 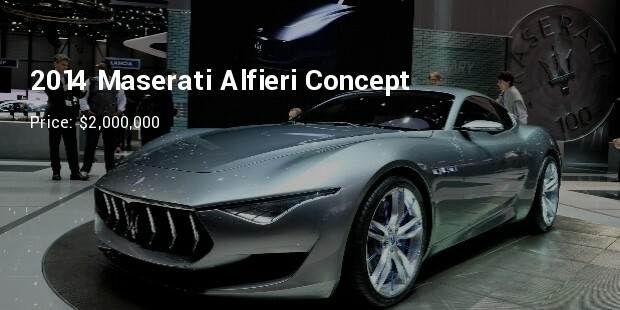 This Maserati Alfieri was shown as a concept car at 2014 Geneva motor show and was decided to disclose it in 2016. 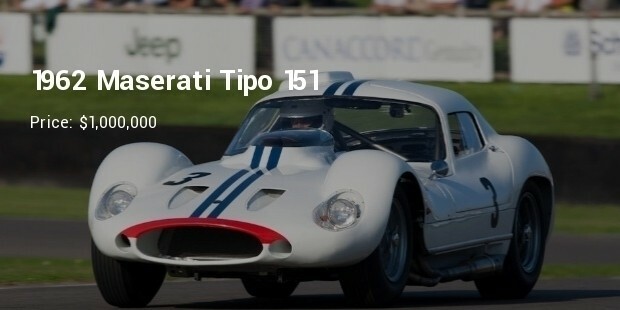 It was a 2+2 grand tourer Italian car manufactured by Maserati. It has shorter wheelbase of 24 cm with locking transaxle and Ferrari derived v8 engine of 4.7 liter which produces 460 hp and 520 nm at 4750 rpm. 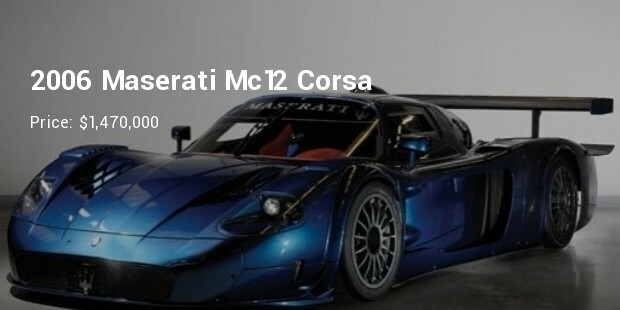 The Maserati Mc12 is a two seated sports car manufactured to permit a racing variant to compete in the FIA GT championship. The top speed of this model is 326 km/hr. It has a supercharged 6liter v12 engine mounted at 65 degree. It produces 755 bph horsepower and can reach 0-100 km/hr in 2.9 seconds. This is a limited production two-seater sports car. 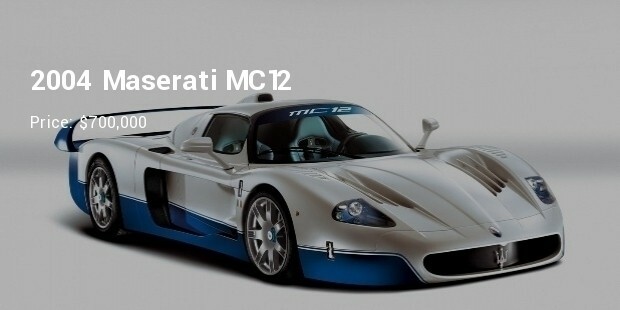 The MC12 is longer, wider and taller and has a sharper nose and smoother curves than the Enzo Ferrari, which has faster acceleration, better braking performance. The interior is a mix of gel-coated carbon fibre, blue leather and silver "Brightex", a synthetic material which was found to be "too expensive for the fashion industry"
This version sounds devilishly loud and is amazingly fast. The 20-inch wheels are deemed the most revolutionary change from the GranTurismo MC, thus the other part of the name “stradale wheels”. It is nicknamed as “Demonoxious” for its high noisy performance. It is a four-seater convertible that combines both elegance and a sportier imprint. It has a pronounced shape that emphasizes the exceptionally dynamic lines along the side of the car. But their role is also to ensure optimal air flow towards the rear wheels. 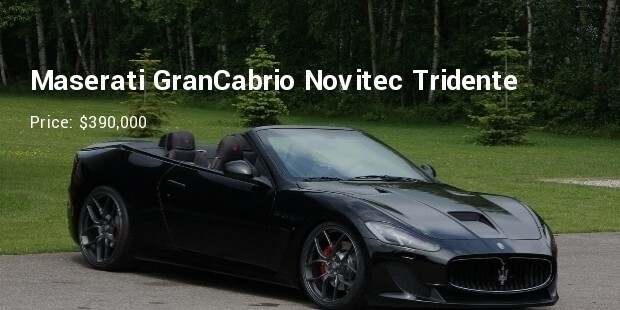 Novitec Tridente is the specialist that takes care of the tuning program. This sports car comes in different colours & two wheel designs. They added a new supercharger to the GranCabrio MC complete with enhanced intake manifold, larger injectors in the fuel system, and more. 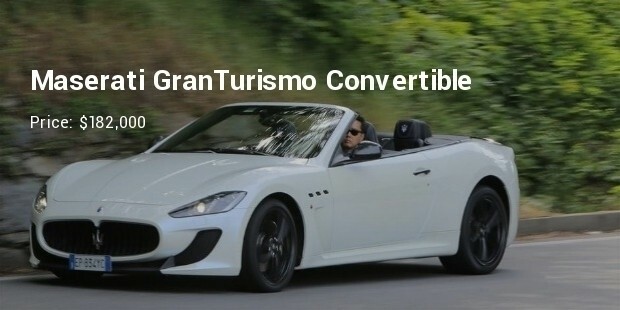 This Maserati is the first convertible to seat four comfortably. Elegant leather interiors are handmade by Poltrona Frau. 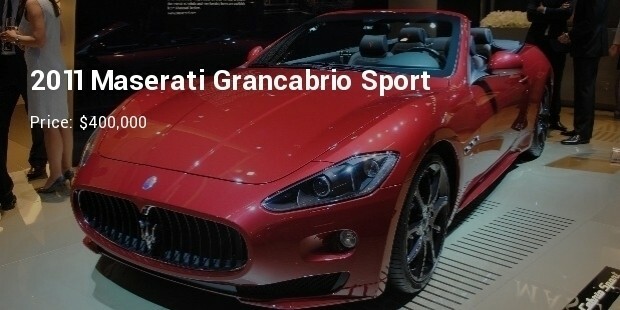 It has some amazing looks & consist of Maserati’s engine specifications & efficiency. High power, smooth running is what makes this one special. Mansory is known as being the most amazing manufacturing specialist when it comes to customizing Italian hyper sports cars. 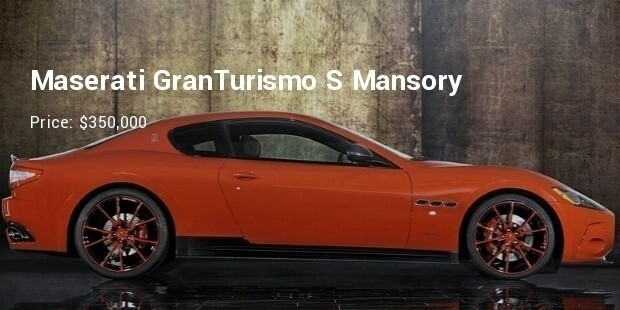 The S by Mansory, came with a newly designed front spoiler. This, of course, shows off the famous Maserati trident in the center of the grill. This offers something really extraordinary in high performance, six figure coupe or convertible with lavish interiors. It is powered by an amazing 454 hp 4.7 litre V-8 engine. The looks are fabulous. This brand has eventually a target of launching around 75,000 models of cars worldwide to create an empire and a solid foundation across the globe. Hence if you are a sport car lover, then purchasing a car of this brand will definitely show your craze, because paying such a high price needs courage.